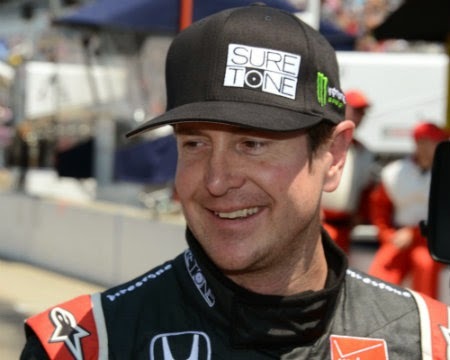 Stewart-Haas Racing driver Kurt Busch, attempting “the double” by running the Indianapolis 500 and Coca Cola 600 in the same day, was not injured and has been cleared to race after hitting the Turn 2 wall at Indianapolis Motor Speedway on Monday during practice for the 500-mile race. Busch was not the only NASCAR driver at IMS following the Sprint All-Star Race on Saturday night. Sprint Cup rookie Parker Kligerman, who is Busch’s backup driver for SHR if he is unable to return to Charlotte in time for Sunday’s race, was also at IMS, checking out potential opportunities in the IndyCar Series. 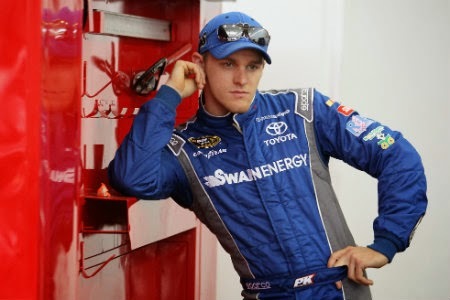 Kligerman was a member of Swan Racing before it discontinued operations in April, leaving his season in limbo. The 23-year-old driver, who raced in the Nationwide Series for Kyle Busch Motorsports in 2013, got his start in open-wheel racing. Kligerman’s decision to check out IndyCar Series possibilities was spurred on by his friend AJ Allmendinger’s 2013 season, when he competed in numerous series and special events, including the Indy 500.